The company and the union met and exchanged multiple proposals Dec. 11. By the end of the day, the union proposed to maintain the current wage scales but eliminate all 12 unpaid furlough days. That change would result in a 4.63 percent annual increase in wages due to the additional 12 days worked. The union countered company proposals with a 10 cent per mile reduction in mileage reimbursement, 63 cent per hour night differential, a lower newsroom start scale and a sick leave accrual structure in which employees would accrue eight days per year that can accumulate to up to 10 weeks of paid leave. In the company’s last proposal of the day, they still demanded the elimination of all furlough days, but with a 4.7 percent reduction in pay scales, so annual compensation would remain unchanged even though employees would work 12 additional days. The company informed the Guild committee that they were making the same change for nonunion (management) employees. Manager’s salaries will remain unchanged by they will stop taking furlough days. Management’s proposal also includes a much lower pay scale for future reporters, photographers, graphic artists and webmasters, 63 cent per hour night differential, lower vacation accrual for current and future employees, eight sick days per year with no accrual or short-term-disability pay, and 28 cent per mile mileage reimbursement. The company’s last addition to their proposal is an offer to pay out all unused accrued vacation at the end of this year only. Under the offer, current accrual amounts would be paid, and 2014 accrual would become available to use beginning Jan. 1, 2014. The proposal also requires employees to use all vacation each year or forfeit it. The offer to cash out vacation is good only until Dec. 20, so a full tentative agreement would need to be reached within the next few days, allowing time for approval of the tentative agreement by our national union and for a ratification vote. The union bargaining committee needs your input on the remaining bargaining subjects. Please contact or email a committee member and share your thoughts. 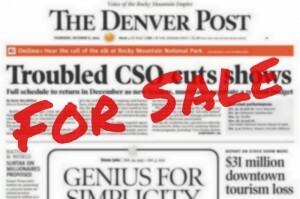 You can call Tony Mulligan at 303-956-1255 or email at dng@denvernewspaperguild.org. A bargaining session is scheduled for this Friday, Dec. 13.